Franklin & Judah are Todd’s great great great grandparents. Franklin William Gray was born May 25, 1821 in North Carolina. His mother is Catherine Gatsey Wadworth and his father is unknown. I wrote about her here. Judah Arena Parrish was born January 29, 1823 in North Carolina. Her parents are Ansel Parrish and Winifred Cashett. I haven’t found marriage records, but it is thought that Franklin and Judah married in North Carolina before moving to Missouri. Franklin’s brother Robert Wadsworth Holmes married Judah’s sister Sarah Ann Parrish, and it is thought they too married just before leaving North Carolina. Son William was born in 1848 in Missouri. Son Benjamin was born in 1850. On the 1850 US Census, Franklin was 29 and Judah was 25. They lived in Buchanan County, Missouri. Son William was 2 and son Benjamin was a newborn. Also living in the house was Franklin’s mother, Catherine Wadsworth, age 27, and Jesse Hill, age 22, born in North Carolina. Franklin and Jesse were farming. In the next household was Franklin’s brother William Wadsworth and his family. Two households after that was Franklin’s brother Robert Holmes and his family. Son Simeon was born in 1852 and son Alexander was born in 1856. On the 1860 US Census, Franklin was 38 and Judah was 36. William was 12, Benjamin was 10, Simeon was 8, Alexander was 4. 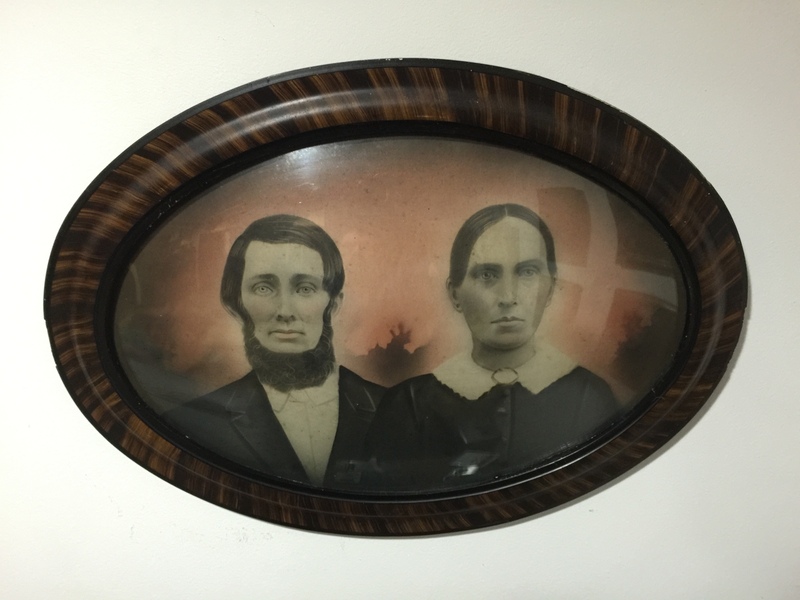 Also living in the home were Martha Wiese, age 17, and William Cooley, age 45, a traveling merchant from York State. Daughter Sarah Elizabeth was born in 1861 and daughter Mary Jane was born in 1862 and died in 1863. Franklin died on April 28, 1864 in Buchanan County, Missouri. His Find A Grave memorial is here. Judah died on August 19, 1864 in Buchanan County, Missouri. Her Find A Grave memorial is here. William Linsey Gray – William was born January 5, 1848 in Buchanan County, Missouri. He was 16 when his parents died, and I don’t know where he spent the next 5 years. He married Mary Ryherd on February 18, 1869 in Buchanan County, Missouri. They had 7 children. He died March 15, 1938 in Buchanan County, Missouri. His Find A Grave memorial is here. Benjamin Franklin Gray – Benjamin was born on January 15, 1850. He was 14 when his parents died, and I don’t know where he spent the next 10 years. He married Mary Elizabeth Lowrie on September 24, 1874 in Buchanan County, Missouri. They had 7 children. He died on September 15, 1929 in Buchanan County, Missouri. His Find A Grave memorial is here. Simeon Hilsman Gray – Simeon was born June 29, 1852 in Buchanan County, Missouri. His parents died when he was almost 12, and he was raised, along with his brother Alexander, by his mother’s brother, Dr. Simeon Parrish, in Holt County, Missouri. He married Margaret Ann Synder in 1885. They had 7 children. Simeon worked as a merchant. He died March 14, 1931 in Buchanan County. His Find A Grave memorial is here. Alexander Gray – Alex is Todd’s great great grandfather. You can read more about him here. Also, I’ve posted many postcards that were sent to him and his family. Find them here. Sarah Elizabeth Gray – Sarah was born January 20, 1861 in Buchanan County, Missouri. She was 3 years old when her parents died, and was raised by her father’s brother Robert Wadsworth Holmes and his wife Sarah Ann Parrish Holmes, who was her mother’s sister. They farmed in Buchanan County, Missouri. She married George Robinson Hines in 1889, and they had 3 children, 2 of which died as infants. They farmed in Buchanan County, Missouri. She died on March 22, 1931 in Buchanan County, Missouri. Her Find A Grave memorial is here. Mary Jane Gray – According to family records, Mary was born in November of 1862 and died in April of 1863, in Buchanan County, Missouri. Along upper left side is written S. H. Gray. Simeon Hilsman Gray (1852-1931) is a brother of Alexander Gray (1856-1940), who is married to Rose Althea Browning Gray (1854-1938). George Robinson Hines (1856-1941) was the brother-in-law of Simeon and Alexander – he married their sister Sarah Elizabeth Gray (1861-1931). This postcard is from Lula Gray (1881-1973) in Craig, Missouri to her mother Rose Althea Browning Gray (1854-1938), 65 miles away in Gower, Missouri. Rose is Todd’s 2x Great Grandmother. Lula was 31 when the card was written, and married Allen Bowersox when she was 51. Because the card was mailed to Mrs. Alex Gray in Gower MO c/o G.R. Hines, I think she was staying with her sister-in-law Sarah Elizabeth Gray Hines (1861-1931), who was married to George Robinson Hines (1856-1941). Alex & Rose Gray lived in Craig with their daughters Lula and Bernice Erma. I didn’t know who Aunt Han Ball was, but with Missouri Death Records online I found Hannah Ellen Kruson Ball died in nearby Fairfax, Missouri on January 7, 1913. She was the widow of Joseph Louis Ball. Perhaps this is Aunt Han Ball. Does anyone know how she fits into our family tree? I wonder how they traveled those 65 miles. (My father-in-law Lanny Gray read this and said that the family traveled a lot by train.) I wonder what prompted such a long visit. I wonder who Lester was.